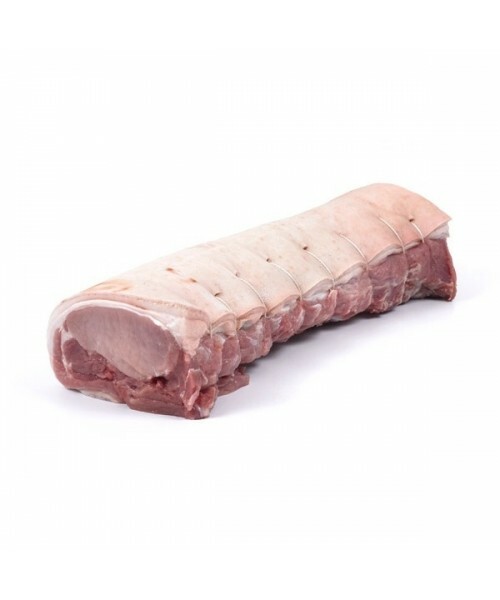 Delicious Pork Loin joint that produces the most wonderful crackling. Perfect for BBQs and gatherings. This item is fresh, not frozen. Flæskesteg, the Danish version of roast pork, is considered to be one of Denmark's principal national dishes. Always prepared with crackling, it is also a favourite for the Danish Christmas dinner served as the evening meal on 24 December or Christmas Eve. It is also served cold on dark Danish rye bread as an open sandwich, known in Denmark as smørrebrød. 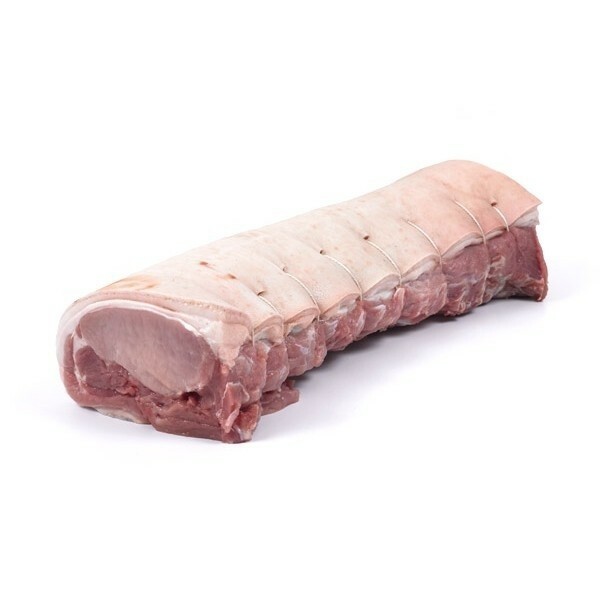 The thin slice(s) of pork should of course be served with their crispy crackling.Try Flæskesteg med rødkål (roast pork with red cabbage) - delicious served with pickled cucumber. Order now, delivered fresh from Denmark via us to your door!